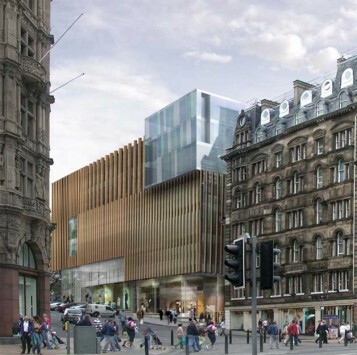 Stockland Halladale are to bust the national pile up of retail wrecks by proceeding with the largest shopping offer that Edinburgh city centre has seen since the opening of Harvey Nichols. The aussie developers are one of the few not to go down or under and have confirmed demolition is still a go for the new year with completion anticipated by the Summer of 2011. 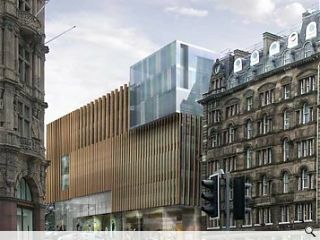 Despite ongoing gloom Stockland are unafraid to proceed with their grand shopping parade to offer a striking mix of past and future betwixt a refurbished Scottish Provident building. The flagship property has been designed by the all pervasive Gareth Hoskins of the eponymous Gareth Hoskins Architects.